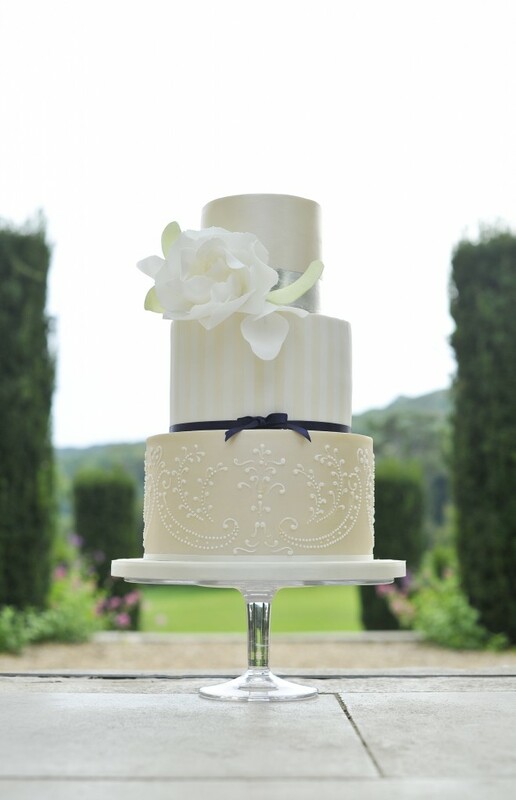 Three tier wedding cake, photographed by Page Creations Photography at Wiston House, Steyning, Sussex. 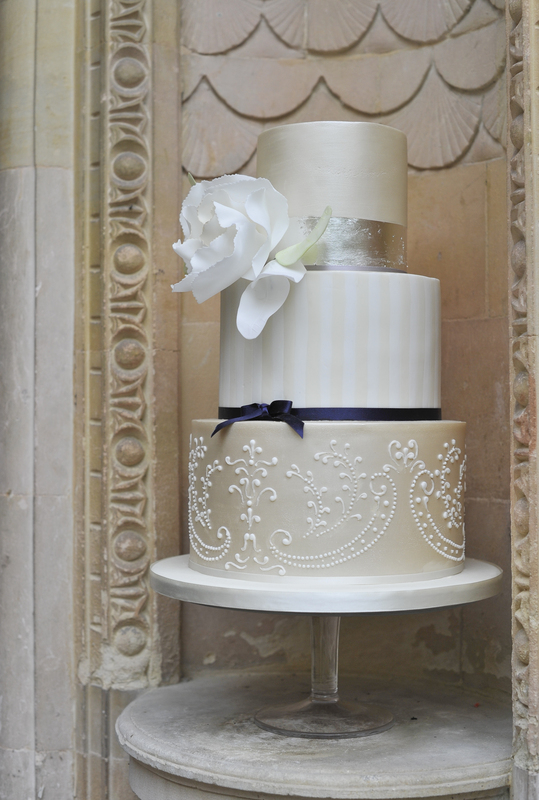 A cake design from Faye Cahill, created here by Liz at Sylvia’s Kitchen. Finished with large open sugar rose, edible silver leafing, hand piped design, pale striping and lustering and fine satin ribboning. Cake serves approx 130 finger portions.